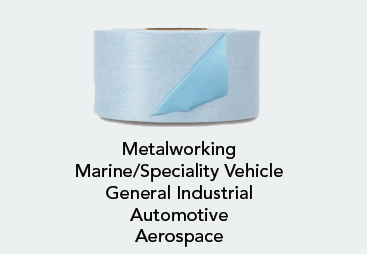 3M™ Heavy Duty Duct Tape 3939 has the tensile strength and adhesion for splicing, masking, patching, seaming, hanging poly sheeting, sealing PVC pipes, covering trip hazards and a host of other industrial applications. 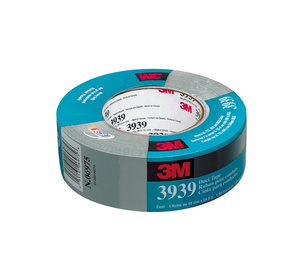 3Mâ„¢ Heavy Duty Duct Tape 3939 has the tensile strength and adhesion for splicing, masking, patching, seaming, hanging poly sheeting, sealing PVC pipes, covering trip hazards and a host of other industrial applications. 3Mâ„¢ Heavy Duty Duct Tape 3939 is constructed of a water-resistant polyethylene laminated to cloth reinforcement and backed by an aggressive natural-rubber adhesive, the tape is high-tack and conformable. 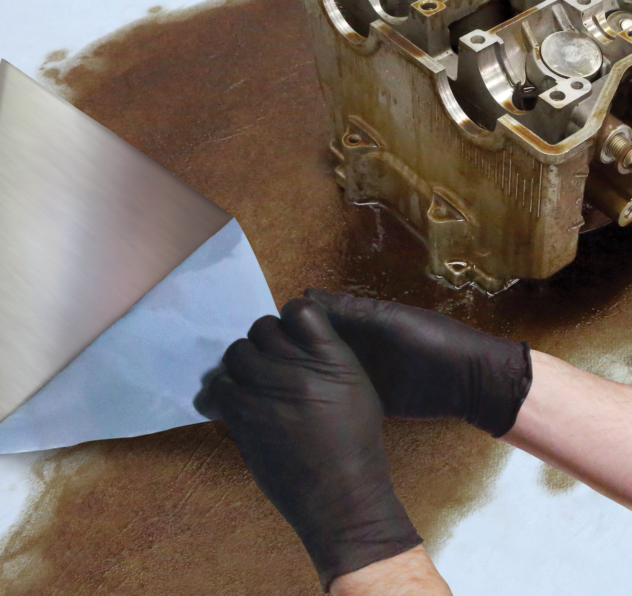 Our tape tears easily and cleanlyhorizontally or verticallywithout slivering. Industrial applications include hanging polyethylene drapes for containment activities, masking, and sandblast overspray protection. It is also used in the convention industry for holding and seaming carpet padding, taping down cords, and hinging poster-board panels. 3Mâ„¢ Heavy Duty Duct Tape 3939 can be used in temperatures up to 200 degrees F. It has been burn tested according to the methods UL 723, ASTM E-84, NFPA 255, UBC 8-1. Results were Flame Spread Index 0, Smoke Developed Index 30. Duct tape (sometimes mistakenly referred to as duck tape) is a toolbox mainstay, used in maintenance, repair and construction operations. The term duct tape comes from the silver tapes original use in heating, ventilation and air conditioning (HVAC) applications, including duct sealing. Today it performs wherever patching, bundling, reinforcing, tabbing, splicing insulation, capping pipe and conduit ends, labeling, temporary repair, hanging polyethylene drapes, or protecting against light sandblast overspray is needed. Duct tape is used in residential, industrial and commercial environments and by members of construction, electrical, industrial, marine, and military, abatement, trucking, and automotive markets.